Philanthropic Couple, George and Amal Clooney have donated $100,000 to help children affected by the Trump administration’s “zero tolerance” immigration policy, which had been separating families at the U.S.-Mexico border until Trump signed an executive order Wednesday to halt the practice. 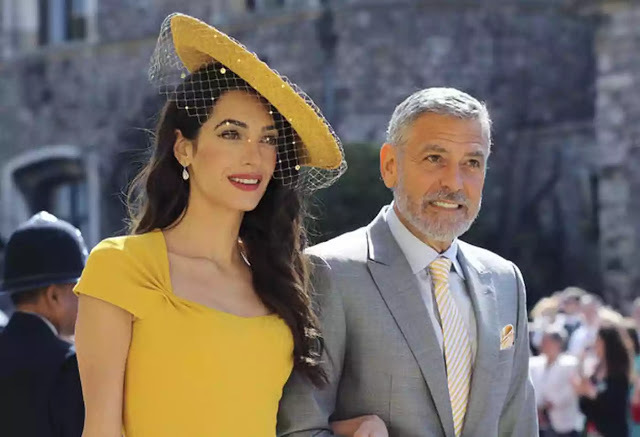 The movie star and international human-rights attorney announced the donation on Wednesday through their Clooney Foundation for Justice and will be giving the money to the Young Center for Immigrant Children’s Rights. The donation is meant to “help protect and promote the best interests of immigrant children in the United States who have been separated from their families,” according to a statement from the foundation. “At some point in the future our children will ask us: ‘Is it true, did our country really take babies from their parents and put them in detention centers?’ And when we answer yes, they’ll ask us what we did about it. What we said. Where we stood,” the couple said, announcing the donation. We can’t change this administration’s policy but we can help defend the victims of it. The philanthropic pair, who are parents to twins Ella and Alexander, have also sponsored the resettlement of Syrian and Yazidi refugees in the U.S. and donated $500,000 to March for Our Lives earlier this year.